At the Women's Center, we strive to be a campus model that serves as a safe space for survivors that support their personal, emotional, and academic well-being and success. We also work to support their friends, classmates, professors and colleagues in accessing critical resources and skills to diminish sexual violence on our campus. 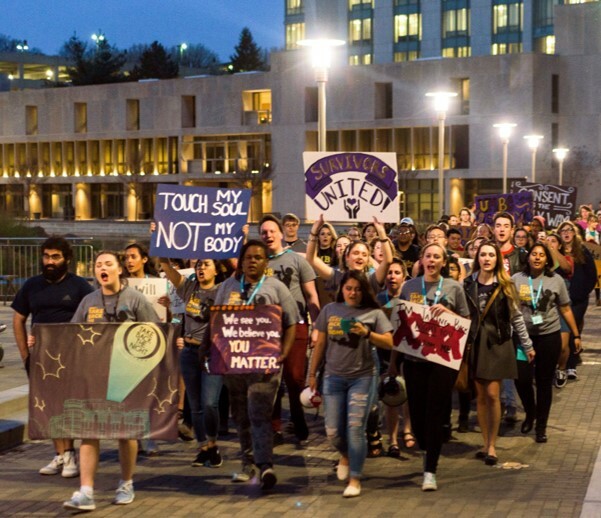 We often receive feedback from campus members that the Women's Center is recognized as a leader in advocating for survivors of sexual violence. But we can't do it alone. Survivors of sexual violence require a community of support. We see you. We believe you. You matter. This is what we as a community need to let survivors of sexual violence know. It would mean a great deal to our campus community and to survivors. These three statements can help start the healing process. It tells survivors that you're behind them in their healing. This will let survivors know they have the support of the entire UMBC community. 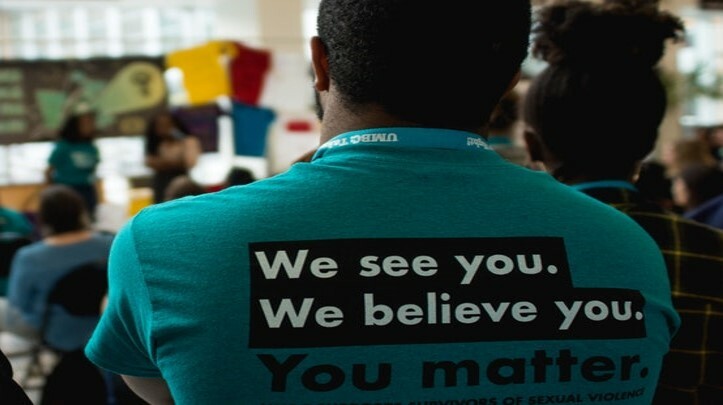 Can survivors of sexual violence count on your support today? When you give, it helps the Women's Center expand its platform for raising awareness and access to resources. Your gift can make a difference, from $25 to $100. You decide what amount to give but please do give today. The work of the Women's Center would not be possible without the financial support from our friends and allies. 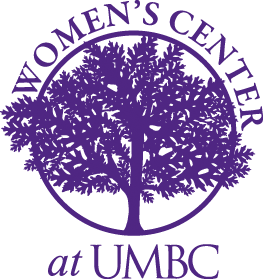 During this critical time at UMBC, the Women's Center is reaching more students, faculty, and staff than ever with our support services and workshops. Last year, we trained 190 community members through our Supporting Survivors workshop and our numbers this year are well on our way of exceeding that total with more workshops being scheduled on a regular basis. Moreover, the Women's Center has forged a new partnership with the student organization, We Believe You, to host a weekly discussion group for survivors of sexual violence.. Your gift will allow us to continue supporting group members with healing and care through their survivorship in addition to serving students through our 1-1 based support. Being one of 25 Women's Center friends making a gift of just $100 will double our current co-sponsorship support for Take Back the Night - meaning we can do even more of the important work we've accomplished over the past year. A contribution of $50 would ensure 20 UMBC community members participate in our survivor-supportive workshop. When you make a gift of $25 it provides a full 2 hours of uninterrupted and holistic support for a survivor of sexual violence seeking help. Thank you, in advance, for your support and generosity. Your gift will change lives. I support survivors of sexual violence at UMBC! Supports a full 2 hours of uninterrupted and holistic support for a survivor of sexual violence seeking help.